Could this be the most troubling text in the whole of the Gospels? Certainly it seems to contradict entirely the Christmas promise of Luke 2:14: “Glory to God in the highest, And on earth peace, goodwill toward men!” How can these passages be reconciled, if at all? Usually the attempt to explain Matt 10:34-36 is most successful when it points out that many Jewish families must have become deeply divided about Jesus himself, during and just after his three-year ministry – and this is certainly effective as far as it goes. 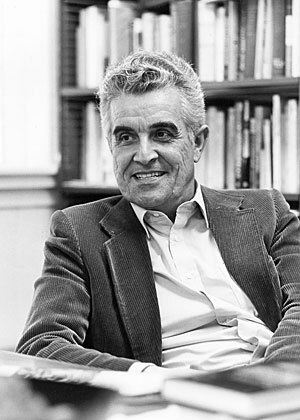 However, the Catholic academic René Girard takes a very different tack – centred on his belief that what the Gospel is doing above all is revealing a universal human process of scapegoating: the projection of all of the potential violence in an archaic community onto an individual, as a means of limiting its violent impact on the community as a whole. For Girard, our competitive desires must inevitably build up social tensions of this kind. Inevitably, in any society lacking an effective policing system and judicial process, they will boil over – and that, he argues, was the virtually incessant condition of societies in the ancient world. Thus, for Girard, when we read of the ‘suffering servant’ in Isaiah, or the episode of the ‘woman taken in adultery’ in John 8:3, we are witnessing the very same process, repeated again and again in ancient times. The social tensions arising out of mimetic desire were always supremely dangerous, because our inherent capacity for imitation can lead inexorably to a ‘struggle of all against all’. At some point in the escalation of this tension of imitative violence, Girard believes, someone, or some group, would come to identify some isolated individual as the real cause of the contagion. This, for Girard, is the significance of John 11: 49-50. For Girard, therefore, this scapegoating process in ancient society was equivalent to a lightning conductor: it ‘saved’ the greater part of a community by sacrificing a lesser. In the case of the ‘woman taken in adultery’, how many internal tensions might have been resolved within a given family by pointing at, and stoning to death, this single individual? She may well have been guilty of adultery, but was everyone else there innocent? Jesus’ response points to exactly what was going on. If Girard is correct in seeing the story of the passion of Jesus in this way, he must also surely be correct in pointing out that the Bible is constantly directing our attention to the injustice of this scapegoating process. Joseph, Susannah – and Jesus above all – were entirely innocent – and the story of Jesus has revealed the wrongness of scapegoating for all time. It is simply wrong to target any individual to deflect and discharge the collected aggression of an entire community. But how then is this tension to be released? For Girard there are only two possibilities: in repentance and forgiveness on the one hand – or in the random conflicts between individuals that will otherwise be inevitable. So, Girard believes, in warning us that he comes to bring a sword and not peace, Jesus is not saying that internal family feuding must happen, but that it will happen – because many will refuse the options of repentance and forgiveness. Jesus has removed from us the option of a familial violence targeted outward against a scapegoat, so – unless we repent and forgive one another – that violence must result in internal family feuds. I find this in the end a complete explanation of Matthew 10: 34-36, in a way that does not require us to believe that Jesus’ intention is violence. In fact it is quite consistent with a belief that he seeks to lead us to a deeper peace that will never rest on the victimisation of anyone. That is where we are historically still as a species – unable to opt decisively for repentance and forgiveness, also unable to justify scapegoating – and therefore subject to a violence that can erupt anywhere, anytime. I don’t see this as a troubling “text” at all. I see it as a “test” to the logic of a generation who have intelligibly advanced more quickly then their ancestors. In every aspect he refers to the youth of a family who for some reason have been granted with an illumination of sorts and have literally been pitted against members of their own. This is our gift to receive from Him or perhaps just a reality that will eventually come to pass – that the ideas and expectations of our elders will one day be seen as a complete hindrance to the proper advancement of society as a whole – which is current with today’s mentality of youth between the ages of 13-17. I speak from experience because I have a 13 and 15 year old. They truly think you are backwards. This demographic also really questions what “wisdom” is perpetrating this semblance of order in the world today. You have all lost contact with this generation simply because they have surpassed your intellect on so many levels. They can be herded but it takes more than what our elders have to offer. For this illumination to be effective, those points which Jesus is quick to advise, will be followed. Children will soon question the logic of their parents. The injustice of the scapegoating process is simply the call to action of those who wish to focus their attention on a single representative of such diabolical behaviour. The one who should lead the children of a nation against its elders which have been caught in a mimetic fishing net should be held accountable for such treasonous acts. He expects a backlash in the form of a directed assault on the harbinger of such discord which according to him is human nature defined, but is still not a valid excuse. So elders, hear this message – you have been warned. Any backlash to this illumination period is expected but still unacceptable. This world will come to pass and a new one discovered. That He has guaranteed. God bless you Sean. And God bless you too, Lloyd Allan – for showing me another layer of richness to this text. That’s really insightful – fully compatible with the ‘new wine’ bursting the ‘old wineskins’ too. I’ve always believed that the target demographic of “change” is that 13-17 year old mind whose hasn’t stepped too far into adulthood (insanity/mimetics). I can’t predict the future but I firmly believe if there were a way to fully encourage the hopes and wishes of this demographic and their projections for the future, they could possibly bridge the generational/intellectual gap within a maximum of 7 years. The seven years would certainly bring this demographic into adulthood where the results will be revealed. The only question I have for all of you is could you see this through without the need for a scapegoat? I urge all members of the ACI/ACP to get involved in such an initiative. Sean, based on your writings, education, work history and current Girardian research, you would be poised to lead such a charge in Ireland, in my opinion, if you were able to fully abandon all inclinations towards finding this scapegoat and somehow were presented the medium to launch such an initiative. This is the true test. Oh and one last thing : checkmate. Couldn’t agree more heartily, LLoyd Allan. No scapegoats needed, by anyone, ever again! We must even stop blaming the bishops for everything. As they say to be wise these days, ‘we are where we are’! Soconiall, I was wondering if René Girard ever linked his theory of ‘scapegoating’ to the Old Testament Feast of Atonement, during which all the sins of the people were symbolically put upon the ‘scapegoat’ (‘Azazel’ in Hebrew) which was then sent off into the desert. My only problem with this idea is that the term ‘scapegoat’ may not be an accurate translation for ‘Azazel’ in Leviticus 16. The exact meaning of Azazel is disputed among scripture scholars but many see it as the name of a demon or fallen angel wondering in desert places. Seemingly William Tyndale’s 1530 translation of the Bible translated Azazel as ‘the goat that departs’ or ‘(e)scape goat’ which the later 17th century King James Bible translated as ‘scapegoat’. Also Girard sees the ‘scapegoat’ as carrying the violence of society rather than the sins of society, but obviously those two terms are closely linked. Girard’s concept may nicely bring together the two-goat symbolism contained in the Jewish Day of Atonement. One goat boar the sins of the people and was sent off into the desert but the other one was sacrificed to Yahweh and its blood sprinkled on the ‘mercy seat’ (the cover of the Ark of the Covenant which was the presence of God among His people) “for the sin of the people” (Lev.16:15). Both goats were thus seen as an effective atonement for the sins of the people. In that sense Jesus could be described as using the well know symbolism of that very ancient and annual Jewish feast to indicate what He was doing in freely accepting His suffering and death on the cross (shedding his blood), thus becoming both the scapegoat and blood sacrifice for the atonement (in the ancient Hebrew sense) of the sins of the world. So what Jesus was doing was not appeasing a god who demanded sacrifice to cool his anger or his sense of offended justice at the sins of humankind but instead using Jewish symbolism and liturgy to show just how greatly He loved the whole of humankind (“Great love has no one than to lay down their life for a friend”; John 15:13) and how much He wanted human kind to love one another, in spite of the suffering and perhaps violence, that one will suffer for giving unconditional love and mercy to others. I would be very interested in your thoughts on that suggestion. I agree strongly with your conclusion, Aidan. As to the goat sent into the desert, this is of course analogous, but I believe that for Girard this ceremony did not completely substitute for the practice of lynching – the projection of the violence of a community onto another human. I could go to Wolfgang Palaver’s marvellous ‘the Mimetic Theory of Rene Girard’ for more detail on that – but would hate to deprive you of a reason for reading that yourself. Totally riveting, I assure you! Soconiall, I have downloaded that book you recommended and spent the last 5 hours reading it. You are right; fascinating but difficult (at least for me) to follow in parts. However the effort of trying was well rewarded. 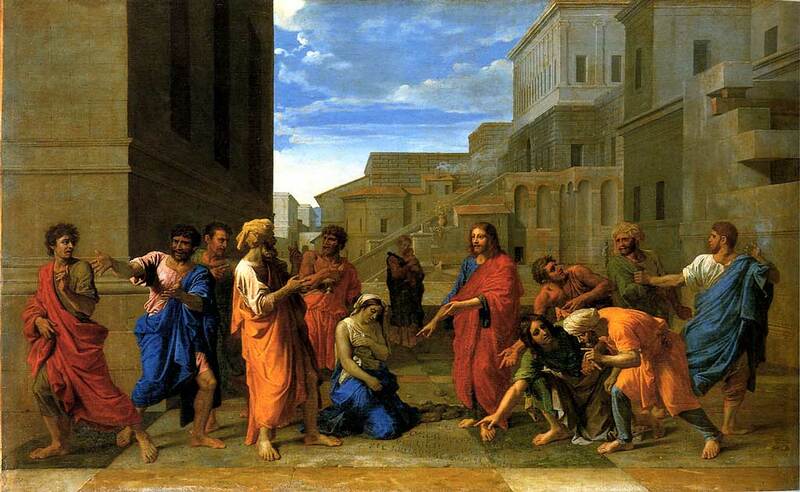 In the Old Testament such violence was often directed towards innocent prophets (one can’t help but think of Jeremiah and his suffering, ostracism and exile as a scapegoat for a corrupt King and comfortable Jewish middle class who were ignoring the suffering of ordinary people), and eventually Jesus, who were scapegoated and violently sacrificed. Isn’t it deeply mysterious that somehow the scapegoating process is being shown to us, time after time, in these texts? And that, subliminally, the world has learned that scapegoating is unjust? Girard believes that this is a result of the Judeo-Christian texts alone, but is deeply concerned about the failure of politicians to ‘get’ the fact that possession of nuclear weapons virtually guarantees proliferation, because it incentivises possession of them. The same applies of course to the hoopla around super-richness – ‘iconic’ commercial success – and the throwaway society. I cannot think of a single major world problem that is unconnected to mimetic desire. “The Lord is my shepherd. There is nothing I shall want.” Agreed. Yet that human condition lives strong in all of us. It’s to be curtailed and never extinguished. You don’t beat “mimetic desire” Sean. At best, you stay one step ahead of it. When society is doing the “right thing” – it is your greatest ally. Homework – how does the Hopi Nation fit into all of this? You will need to expand on your reference to the Hopi, Lloyd Allan. I have no idea what exactly it is you are referring to. As mimetic desire arises out of a mistaken impulse to try to add value to oneself by acquiring something possessed by someone else, what Christians call deep conversion – the full realisation that one’s value is already fixed, certain and sufficient – can be an adequate defence against mimetic desire, if one develops the discipline, and receives the grace, that are necessary to maintain it. The statement ‘You don’t beat mimetic desire’ is, for me, rhetorical, i.e. overstated and inherently unprovable. Jean Vanier, for one, has surely disproved it. I am working on imitation of that ‘downward journey’ – and reject the defeatist conclusion that I am wasting my time. Wouldn’t it be a little more persuasive if you said something like ‘this is difficult’ rather than ‘this is impossible’ – as, again, taken as an empirical statement, the latter seems to imply that your own experience and knowledge are exhaustive? Or are you seeing any kind of imitation as a form of mimetic desire? Mimesis and mimetic desire need to be distinguished, as the imitation of Christ needs to involve no acquisition whatsoever – not even the reputation of being a good Christian. He was centred on the presence of Abba at all times, not on himself – so that is what the imitation of Christ involves also, that centredness. We CAN actually get to humility, Lloyd Allan, though not by our own endeavour alone. Isn’t it defeatist and rhetorical to argue otherwise? Do you doubt the possibility of a ‘New Creation’? If you do, what is Easter about, then? Wow, I can only assume that there are no talk of such worldly issues on the ACP site. No offense to them but I know first hand the hope of the world is in the laity. Where else would it be at this rate – a political party? The fringes were beautiful gentlemen and I’ve seen so much….hahaha. Girard is also pessimistic about politics, because it too is based upon conflictual desire for a scarce resource – voter approval in a democracy. But surely sometimes people do emerge who can stand above that? We can only pray just now. So Sean, what are “we” waiting for? The ACP/AUCSCP/PI for that matter? The Pope? Is it the courage to do a good job? Could you clarify for us what you see as a ‘good job’, Lloyd Allan – if possible without further metaphors? Maybe what we are all waiting for is clarity on what we should do next. If you can help us with that, please do. There comes a point where clarity demands that metaphors be left to one side, and that the nub of your concern be identified directly. I greatly admire your passion and dedication – but I am never really sure what exactly it is you want us to do. Well, I guess it is high time I answered that question. The first thing is support the Franciscan initiative that started in 2015 – the “Our Children’s Trust” lawsuit is a compliment to the petition distributed by the Global Catholic Climate Movement. Ireland has to form a partner lawsuit like the one that will be started in Canada in 2018. To do this, there should be representation at the WMoF to educate people of this possibility. It now goes hand in hand with what your government is planning for. Ireland went from being one of the worst performing countries in the world to being one of the first to begin to completely divest from fossil fuels. Is this a coincidence? We can’t believe in coincidences these days. We all have a civic responsibility to act, even in small spaces like parishes. People making small contributions of time and attention can make all the difference in the world. By supporting the “Our Children’s Trust” initiative, you are now completing the circle – religion and politics are on the same footing where it concerns regaining the trust of our young people. The triangle is completely inverted now awaiting populations to react. Girard would be pleased, wouldn’t he? Although, we have yet to all get on the same page, the hardest part is done.